so what brought me back here huh? I just wanna 'document' this very special day to remind myself that I am so special that the world revolves around me. How leh? Can see a not? The picture? 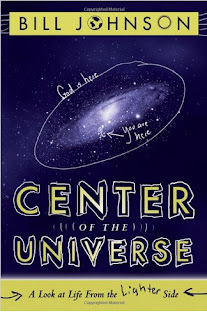 Yes, my big God who's in control of the universe has made the world spin around me. SUSHI LOVERS of Malaysia (or is it just KL?) would know that today is the LAST DAY for the RM2 sushi bonanza at SushiKing. Neither me or mom was a member, so my mom went to borrow the member card from a friend (let's call her Mary). Then we went to Leisure Mall's sushi king because the outlet at Queen's Park already closed down. Then it rained, heavily. But that's not importanT. Then we found a parking, that's not important too. Then I prayed. Yes this is important, here's what I prayed, literally. "Dear God, I'm very hungry. And surely You know that I don't wanna que so long. So please let us cut que!" AND THEN my mom saw Mary's son, Chris and his wife.... IN FRONT OF THE WHOLE QUE. I'm telling you, nothing in the world is coincidence dude. Okay, so we sat at the same table, mom,john, chris, chris' wife and I. But that's not important. We ate sushi. Like duh. I'm not telling you what I ate, less I earn myself the title "pig"
Again, we got the best seat, because we're seated right in front of the chef and we get the first dish served almost every time. Sadly, they didn't serve green tea tonight because "the water heater spoilt"
on the way to the car park, I stopped by at the TV shop to watch King Kong. wah, King Kong is so YAU YENG MAN!!!!! but that's not important too. at first it was 4 for RM10. My mom's sweet smile charmed the fella (let's just call him the fella) and he told us we can pick 5. So we picked 5 pastries. and then when we're about to pay, the fella put one more inside. OMG why I got no more ideas on what to blog anymore one ah?? I should go refer to my old blog. wait, i forgot the URL already. you know those couple like to call each other 'baby, baby' one?? so what's short for Darling? ok lah, i go watch movie.